Tricky has today released an EP of remixes encompassing the first two singles from his forthcoming album, ununiform. Standout tracks ‘The Only Way’ and ‘When We Die (feat. Martina Topley-Bird)’ receive reworks from Kahn, FaltyDL and The Heatwave respectively. Available everywhere digitally, the remixes can be heard below. The producers have also taken the time to share their own thoughts on Tricky’s lasting influence upon their own material and more widely on the last two decades of British music. FaltyDL is first out the blocks with a catchy as hell remix of ‘When We Die (feat. Martina Topley-Bird)’ – the recent single which so excited long-standing Tricky & Martina fans upon its release last month. “It’s hard to know where to begin in expressing how much of an influence Tricky’s music has been on me, not just as a musician but in my life generally. It’s music that’s been with me since I was a child; listening to his albums over and over again at school on my CD walkman, memorising lyrics and immersing myself in the unique atmosphere of his work and collaborations. It was an essential pillar of my musical education growing up in Bristol and remains some of the most important music and poetry to me personally. Certain songs of his are so entwined to specific memories and periods in my life, it’s like the music’s just a part of my identity. Finally – rising bashment producers The Heatwave were tasked by Tricky (ever with his ear to the ground) to work their magic on ‘When We Die’ just in time for the last summer rays. Tricky’s 13th album, ununiform, is a delicate, storming, intricate album that sees Tricky take perhaps his most radical step yet – a journey into happiness and contentment. It’s a record that shows the legendary British producer confront his legacy, history, family – even death itself. And in all of this, he finds the strangest, least familiar thing – peace. It’s released on 22nd September via False Idols / !K7. 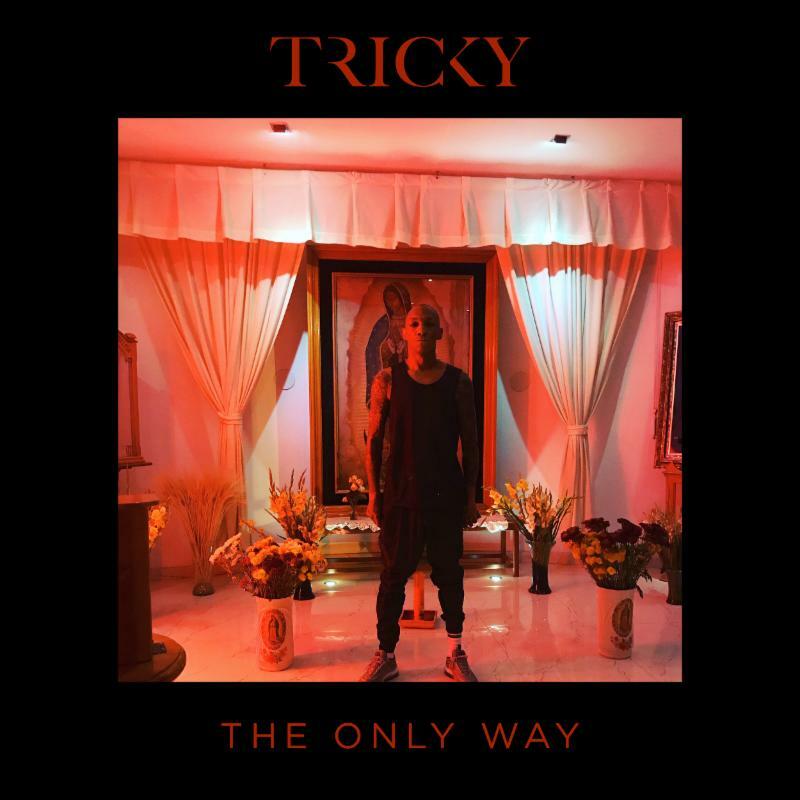 Tricky unveils brand new material in the form of “The Only Way”, an orchestrated soul-barer with more than a nod to his Maxinquaye era and featuring his own trademark vocals taking centre-stage over a smoke-filled melodic backdrop. Recorded in Moscow late last year and described by Tricky himself as “Hell Is Round The Corner Part 2”, “The Only Way” is a beautifully rare glimpse into the now Berlin based Tricky’s future, releasing via his own label imprint False Idols (via !K7 Music) on June 9th. “The Only Way” will be released via False Idols (via !K7) on June 9th. The ‘OBIA EP’ is Tricky’s latest release, out via his own False Idols imprint on Sept 30th. The seven track collection showcases works by established and young emerging artists including CASISDEAD, Kiko King & creativemaze, WOODJU, Syava and Euanwhosarmy Feat. Lyndsey Lupe. All the artists featured have been specially chosen by Tricky with the main purpose to provide a platform for them to be heard, where – in contrast to most UK and US labels – music does not have to be in English language. It includes a powerful collection of tracks one that stretches from soulful electronic and hip hop sounds of Russia’s underground to the grooves of Berlin’s young talent, including artists discovered by Tricky on his travels and touring around the globe. The EP is framed by two tracks by WOODJU, opening with ‘Damballah’ and closing with ‘Irradiant’. Both him and Syava, who contributes the track “Nenaviju Izmenu”, are Russian artists that struck up a strong relationship with Tricky, once again on his travels and have now been provided with a platform to shine. Next up, Tricky provides Massive Attack’s Robert Del Naja (a/k/a 3D) an opportunity to showcase a new track entitled ‘For Nothing’, produced by Del Naja and Euan Dickinson under the name Euanwhosarmy and featuring the vocals of Lynsey Lupe. The pair’s current creative bond should come as no surprise, as Tricky recently returned to perform alongside the Bristol band this summer to much media attention. Los Angeles- and Berlin born Kiko King & creativemaze who now both reside in Berlin and have supported Tricky on German dates, add two tracks, “Tin Man” and “Wolves”. ‘Does It’ is a new take of a track that originally appeared on Tricky’s ‘False Idols’ album in 2013. This version features new verses from one of UK rap’s most elusive and enigmatic figures CASISDEAD who delivers his trademark distinctly British and macabre delivery with snatches of story bound lyrics that are socially poignant. There’s a clear organic and unforced feel to the OBIA EP with the contributors granted license to grow with a native wild approach. We see Tricky taking a visible supporting role to artists that he wants to see flourish. OBIA EP is released through False Idols September 30th. Tricky announces a new album, entitled “Skilled Mechanics”, featuring DJ Milo & Luke Harris. Out 22nd January, 2016 on False Idols / !K7. Luckily for us, the only ‘killing’ Tricky is doing this year is in the studio and on the mic with Skilled Mechanics’ self-titled debut which is coming out on his own record label False Idols. 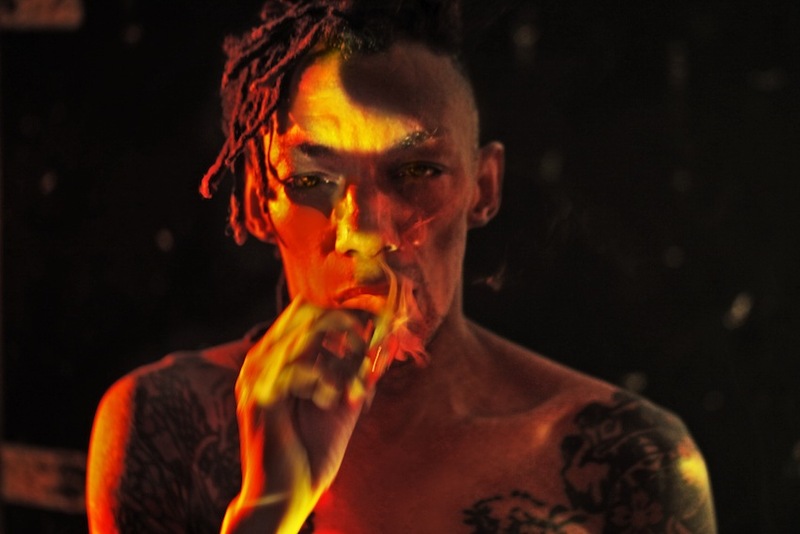 For most musicians, stopping working as a solo artist and forming a band is a sign that they’re sick of the spotlight but in typically perverse fashion, perhaps the opposite is true for Tricky. He explains that some people have been voicing their frustration with him for his habit of often playing second fiddle to his various female co-singers: “People have been asking me for years, ‘Will you ever take charge vocally? Will you ever lead as the singer on one of your albums?’ On Adrian Thaws, my last album, I came to the forefront vocally. I was more in your face on three of the tracks but I wanted to build even further towards a catalogue of songs where I didn’t rely on a girl singer. But I realised it would be hard to do under the name Tricky because people would always associate that name with me using a female singer. So he formed Skilled Mechanics a loose collaborative project that would allow him to work with many different artists, while at the same time pushing his unique vocal talents to the forefront. The most prominent of these collaborators on the new record is DJ Milo, who is not only one of his oldest friends but also the first person he ever recorded with not to mention his introduction to The Wild Bunch. As well as guest appearances from firey Chinese rapper Ivy 艾菲; London based singer Renata Platon and Danish singer songwriter Oh Land, the album also contains the vocal talents of Tricky’s current creative foil, Francesca Belmonte, on the track ‘We Begin’. Skilled Mechanics is the statement of a true original British talent – one who will never coast on his former achievements and will always keep on changing and adapting to face the future. Having collaborated as lead vocalist with Tricky on his last several LPs, London vocalist Francesca Belmonte steps into the spotlight with the release of her debut solo albumAnima this week on False Idols. The album features production from Tricky on all tracks. Anima is available now via the Tricky Webshop, as well asiTunes, Amazon, Spotify, and just about everywhere else. Watch the beautifully-shot video for “Are You” below. With his latest album Adrian Thaws out now on his own False Idols imprint, Tricky unveils the striking music video for the single “Sun Down,” which features guest vocals from Tirzah. Actor Norman Reedus of the hit television show ‘The Walking Dead’ co-stars with Tricky, along with actress Mizuo Peck (Night At The Museum, A Case of You). 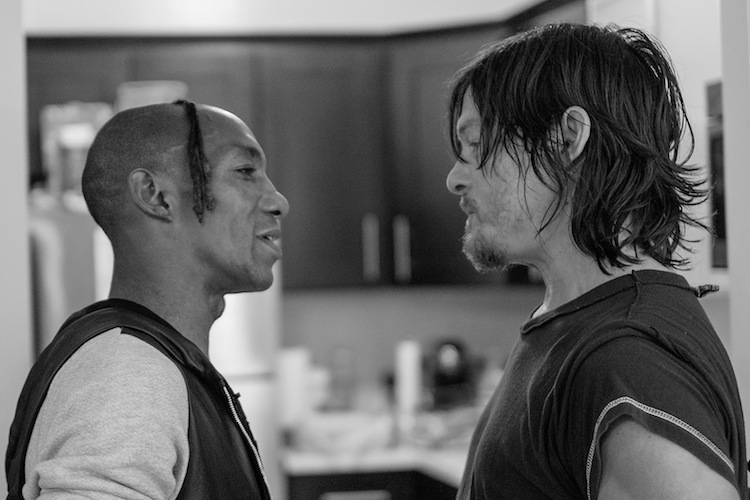 The music video, which Tricky directed himself, was shot in Brooklyn and features Reedus and Tricky playing fictionalized versions of themselves dealing with the ugly fallout of a domestic dispute. 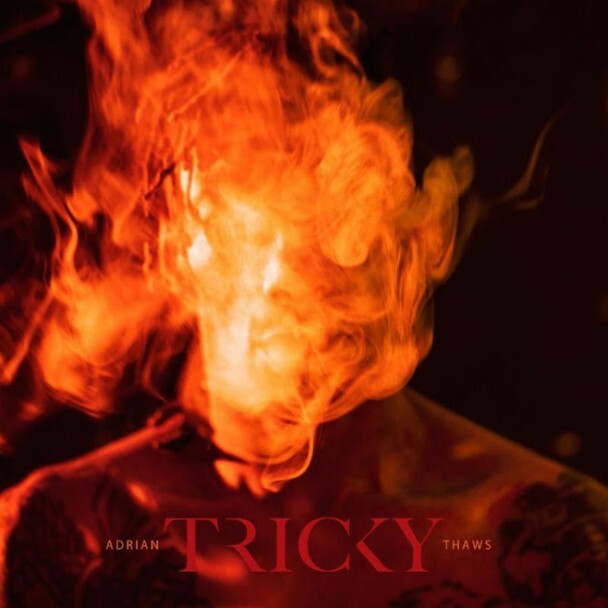 The Adrian Thaws album continues a prolific period for Tricky, following last year’s acclaimed False Idols album. The record features collaborations with Nneka, Mykki Blanco, Blue Daisy, Oh Land, Bella Gotti, and Francesca Belmonte. A remix package for “Sun Down” is due in September. Straight out of Edinburgh via Nigeria and Liberia, Young Fathers flip Tricky‘s new single ‘Nicotine Love‘ feat. Francesca Belmonte upside down, adding their own verses and twisting the track into a dark, haunting R&B cut from the future. Click here to get your free download of the remix! The original track is available to download now on iTunes, where you can also pre-order the upcoming album. Adrian Thaws is out on September 8th 2014 on False Idols in association with !K7 Records. A 2LP Vinyl Gatefold and Deluxe Hard Case CD edition featuring a two bonus tracks and an exclusive booklet comprising never before seen photos from Tricky’s youth are available to pre-order now via the !K7 store, hand signed by the artist. It’s typical of one of music’s most unpredictable characters that the first album to bear his birth name is one of his least introspective. Adrian Thaws is a vivid, attention-grabbing set of songs which roam from hip hop to house, jazz to blues, rock to reggae. 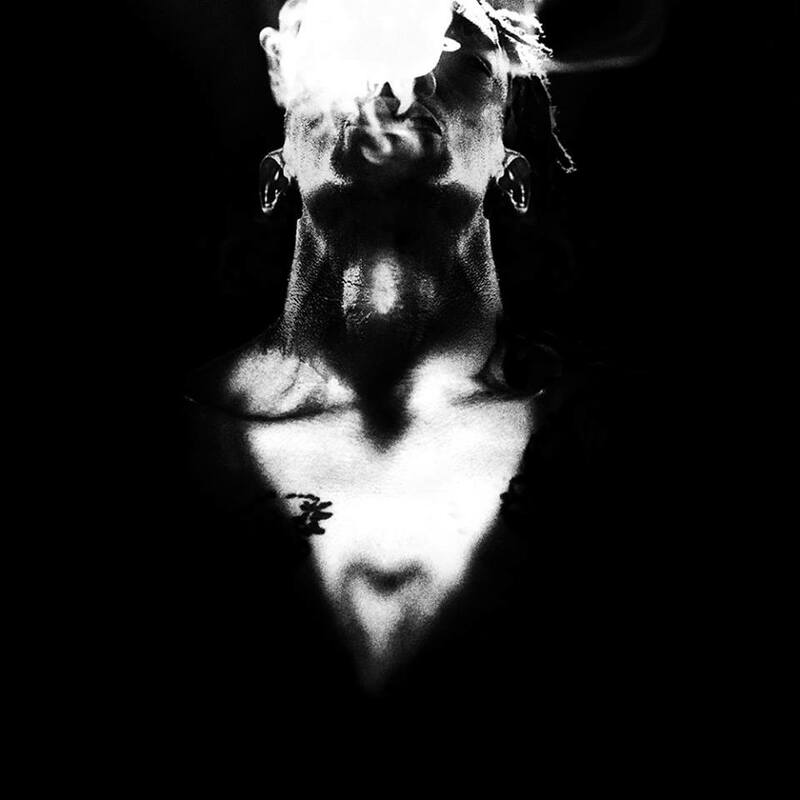 It was recorded in Tricky’s home studio in London, where he’s living again after almost two decades in New York, Los Angeles and Paris, and features an international crew of collaborators: Francesca Belmonte, Nneka, Mykki Blanco, Bella Gotti, Tirzah, Blue Daisy and Oh Land. It’s designed to be played loud. Tricky makes complicated music because Adrian Thaws has had a complicated life. Born in 1968, he grew up in an extended family that was both black and white, urban and rural, containing strong women and volatile men. His choice of cover versions is revealing. Janet Kaye’s 1979 lovers rock classic Silly Games reminds him of his childhood in Bristol’s Knowle West district. London Posse’s 1990 track Gangster Chronicle harks back to his musical apprenticeship with the Wild Bunch and Massive Attack under the name Tricky Kid before he launched his solo career with 1995’s startling Maxinquaye. The confidence and energy of Adrian Thaws reflects Tricky’s newfound sense of stability. After several years of uncertainly changing labels and managers, Tricky finally feels settled with !K7, where he’s tidying up a lot of loose ends. This renewed purpose explains why Adrian Thaws arrives just 16 months after False Idols. There are more projects on the way including a covers record (his first since Nearly God) and Francesca Belmonte’s debut album. 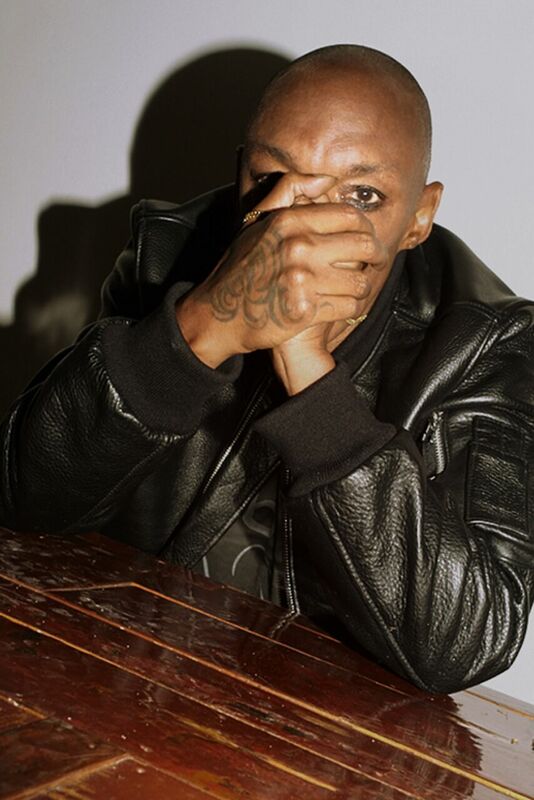 Tricky has often found it difficult dealing with the music industry but making records is second nature and now there’s nothing holding him back. “Adrian Thaws” is out September 8th on False Idols in association with !K7 Records. Stream Nicotine Love below. 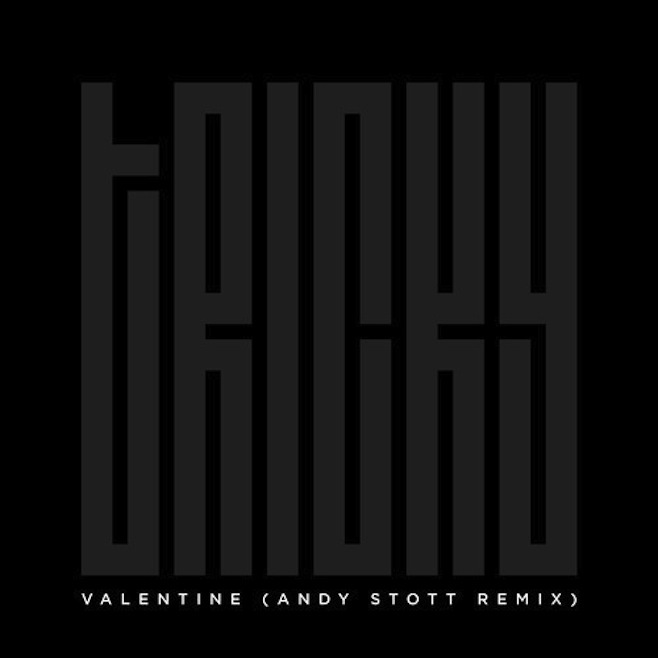 Tricky’s Valentine featuring Francesca Belmonte gets the remix treatment from Manchester’s ‘knackered house’ originator Andy Stott. Tricky says: "Andy Stott remix was done just because he is a talent, no other reason. This is not for a single release and not promotion for any up and coming release. We approached him and asked him to choose a song. False Idols is not a typical label so we do not have to do things in typical label fashion. Andy Stott’s remix is totally pure and refreshing and stands alone." The track is due for released on Tricky’s own False Idols imprint. The 12” will be available September 16 via Boomkat, September 30 via all all retailers. Pre-order here.